This week has been a little too busy for blogging and I haven't been working on anything that I am allowed to share just yet so instead you get a free cross stitch pattern. Yesterday I spoke to the Creative Disruption class at Transylvania University and I brought along a couple of the QR code cross stitches I've done. Mostly I use the QR technology with cross stitch for leaving little affirmations in unexpected places, mostly public bathrooms. Anyway, while this one was being passed around the class I remembered that I created a chart to share, but never did it, so here you go. Worked on 14ct Aida, this design will fit into a 2x2" frame that can be placed anywhere your heart desires. 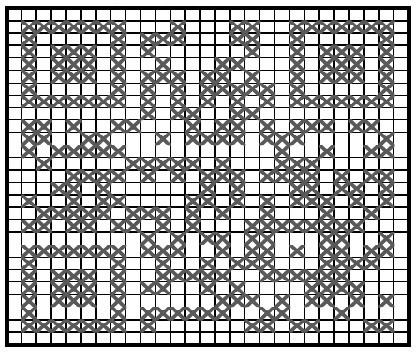 Downloadable pattern here.